Practice writing O and o on the primary-ruled lines, then color in the ostrich and octopus. 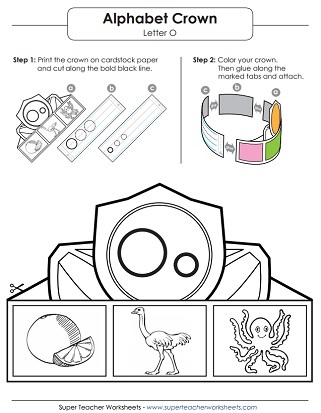 Color and assemble this letter O o headband and then wear it. 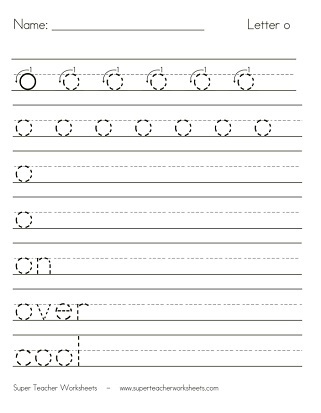 Learn to write lower-case o by tracing the dotted lines on this worksheet. Trace along the gray lines with a pencil to practice writing lower-case o. Print this worksheet to practice writing capital letter O. This printable worksheet helps you practice writing capital letter O. Practice reading and writing the upper-case and lower-case letter O o.
Recognizing letters will be easy when kids dab the circles in the shape of letter O on this worksheet.